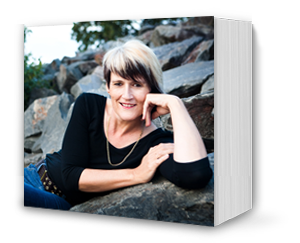 Today I am pleased to bring to you an interview with Marianne De Pierres. I’ve known Marianne for a long time now and as she was doing a blog tour for her new release, Peacemaker with Angry Robot Books, I thought an interview in the author spotlight series was just the thing. 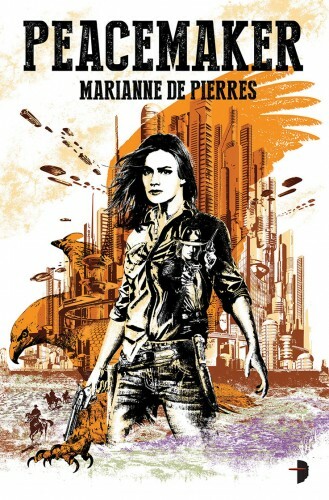 Marianne Peacemaker is your new SF Western crime/urban fantasy novel out with Angry Robot Books. Can you tell us a bit about it? Sounds fascinating by the way. I’m looking forward to reading it! Thank you, Donna. Well the book blurb is probably the best way to answer this! Virgin is a ranger in Birrimun (Big) Park, a huge natural landscape reserve in the middle of a sprawling coastal megacity. The park has been created to preserve Australia’s changing natural habitat, and to bring tourism to an over-urbanised world. Virgin’s duties are to maintain public safety and order in the park, but Parks Southern have brought out a hotshot cowboy from the US to help her catch some drug runners who’re affecting tourism. Virgin senses her boss is holding something back from her, and isn’t keen on working with an outsider, especially one as laconic and old school as Nate Sixkiller. When she sees an imaginary animal (a wedge tail eagle she calls Aquila) that hasn’t been around since she was a troubled teenager, Virgin knows its re-appearance means one of two things: she’s having a breakdown, or it’s a warning. Dead bodies start piling up around her and Nate. Something terrible is about to happen in the park that threatens the basis of human belief systems. I’ve tried hard to retain some standard Western tropes while writing a supernatural crime novel set in Australia. I grew up on Zane Grey novels and I read the entire Time Life Old West series back then, and again more recently. I feel I understand the genre historically. Though West Australian, I’ve been living in Brisbane for over fifteen years being a stay at home mum. And that’s pretty much the length of time that I’ve been writing full time. I’ve worked hard and had consistent publication since about 2004. My writing journey has taken me in many different directions and I have at various times been a blogger, freelance feature writer, children’s writer, crime and science fiction and fantasy writer. I won’t bore you with my bibliography but you can find it here if you are interested. I feel like I’ve been daydreaming, creating worlds and characters and stories for most of my life. I noticed on your webpage that there is a comic of Peacemaker. Can you tell us a bit about that and its relationship to the novel? I actually started to write the novel first but got side-tracked by the notion of a graphic novel. The story seemed to lend itself to images. Maybe it’s because it was so vivid in my own mind. Nicola Scott recommended artist, Brigitte Sutherland to me and she really got my vision. She also got stuck with my complete inexperience in comics. After Brigitte had finished the inking process, she asked me who would be colouring the work. ‘Um…’ said I, ‘Oh, I thought you would.’ To Brigitte’s great credit she just hunkered down and did everything without freaking out. I love the colours she used and I loved her conception of the world. My only regret is that she moved on to other things in her life and wasn’t available to draw issue 2. Should the comic ever get completed, it will follow a slightly different story arc to the novel. More episodic, I think. You also get to meet the bad guys much earlier than you will in the books. How was exploring this new world in Peacemaker? I notice it different from Parrish Plessis and Sentients of Orion. Well fun doesn’t even begin to describe it! I have a suburb in the book called the Western Quarter which is a mash-up of Australian and Classic Western clichés. Be ready for Stetsons, spurs, chaps, cacti, Akubra’s, and RM Williams to all be populating the same bars and saloons. And then there’s the park. How glorious to be able to inhabit the land so fully and then step straight out into the urgency of the city. I write daily, in the mornings, beginning anywhere between 6am and 9am, depending on the amount of blogging I have to do first. I’ve never had writers block, though I have had periods where I’ve been quite fatigued. I deliberately and scrupulously counterbalance my writing life with sport and exercise, to give my brain chemistry time to recharge. And I’m somewhere in the middle of the PANTS and PLAN continuum. A little bit of planning, and a lot of organic writing. I’m big on narrative drive, so the story usually propels me, whether I like it or not. First draft is so exhausting. It feels like someone is draining the life out of me as I get those first words down. Rewrites and edits are much more fun. You know the shape of your story by then, and then it’s a case of making it all pretty. WOW – a lot! I refer you to this link. First and foremost, is book 2 of the PEACEMAKER series (working title DEALBREAKER). But I’m hoping to spend some of 2015 writing PHARMAKON, my SF thriller, because it’s an idea that just won’t silenced. I feel SUCH a strong compulsion to write it! I’ve already done a fair bit of research for it. You write under different names (De Pierres and Delacourt). Does maintaining these identities (blog, twitter and facebook) it take a lot of time? It does and, frankly, sometimes Marianne Delacourt suffers. The Tara Sharp books reach a whole different market to the Parrish and Sentients of Orion readers, and staying engaged in both those communities is hard work. But I enjoy my online outings, so even though it’s time consuming, it still gives me a great deal of pleasure. How fortunate am I, to get to do what I love? Thank you so much Marianne. I’m glad you had the time to stop by and the novel sounds fascinating. Here is the cover to Peacemaker.